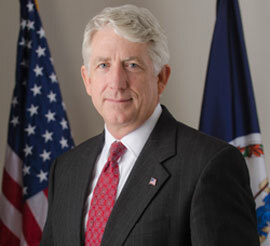 Virginia residents affected by the mortgage servicing and foreclosure practicies of Ocwen Financial Corporation could begin receiving reimbursement checks as early as this week as part of a national settlement, Attorney General Mark Herring announced on Friday. Ocwen Financial Corporation, along with Homeward Residential Holdings, LLC and Litton Loan Servicing, will pay approximately $1,150 to each borrower who lost their homes between. Jan. 1. 2009 and Dec. 31, 2012, and had their loans handled by one of the three companies. The $2.1 billion settlement is the result of allegations that Ocwen and its loan servicing companies violated numerous laws while handling foreclosure cases. Approximately 180,000 borrowers nationwide will receive $125 million as part of the deal. "Our nation and our commonwealth are still recovering from the effects of the housing crisis, but settlements like this have helped provide some measure of relief as well as critical changes in the way mortgage servicing companies do business," Herring said. "Borrowers who qualified for the settlement should keep a close eye out for any potential scams related to this settlement, as high profile settlements can attract dishonest criminals trying to take advantage of the situation." Want to get notified whenever we write about Virginia Attorney General's Office ? Sign-up Next time we write about Virginia Attorney General's Office, we'll email you a link to the story. You may edit your settings or unsubscribe at any time.